Join us to learn about what's in store for UNT's basketball season with head coach, Grant McCasland. 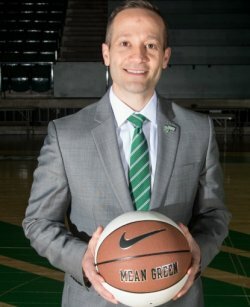 McCasland has taken Mean Green men's basketball to new heights after a 12-win improvement, fifth-most in the nation, in his first season. His 20 wins are second-most by a first-year head coach in school history and led North Texas to the 2018 College Basketball Invitational Championship, first national postseason tournament victory.